A content file or an event added to Convey is called a "post". 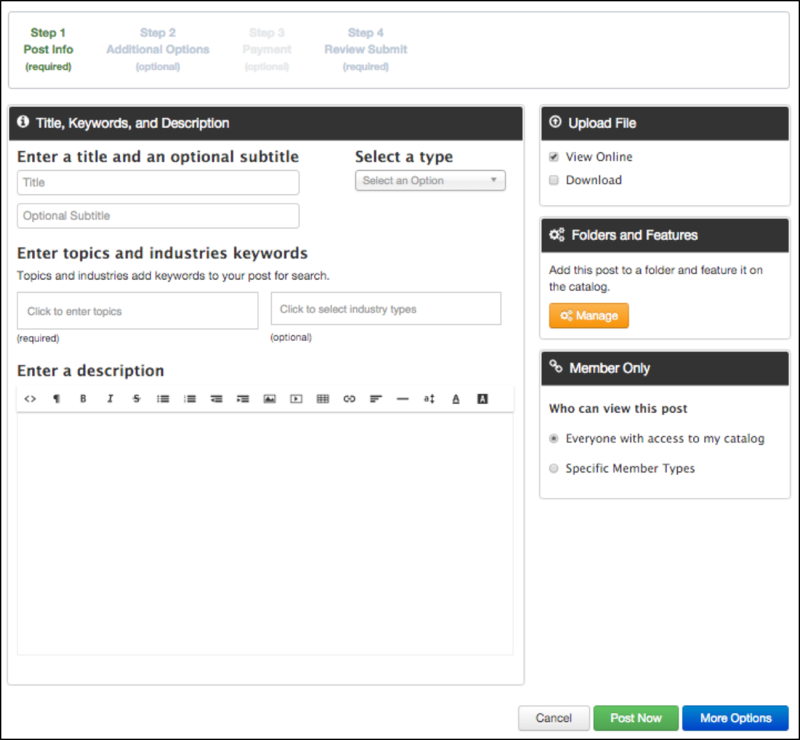 Posts are created by catalog owners and added to individual catalogs. The posting process is quick and straightforward using a simple wizard. Posts are searchable from the home page or within the catalog. Posts can have videos, PowerPoint slides, PDFs , Word documents or other file types. Blogs and Short Posts do not require a file upload. Posts are added by a catalog user and are attached to that catalog. Posting involves adding a title, description and keywords, uploading a file, and adding the post now or based on a schedule. Event posts such as webinars or live events have a date and time, instructions on how to attend, and the event contact. Blog and short posts are added in one step and do not require a file upload. The poster has additional options such as attaching a speaker or author bio, adding payment, attaching a survey or quiz or sending an email announcement. Many catalog owners belong to more than one Convey site. They manage their catalog and all of the posts on one of Convey's hub sites and duplicate all additions or edits across all of the Convey "spoke" sites.